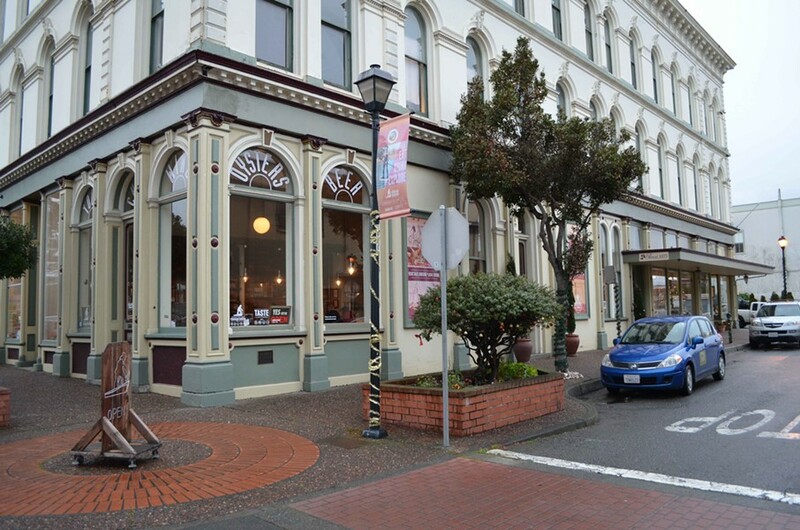 The Humboldt Bay Tourism Center's parklet should be lovely in the summertime. Those parklets, the tiny, public, Old Town outdoor spaces that were supposed to be completed in September, got held up a little, but we’re assured they’re on their way. Eureka Community Development Director Rob Holmlund says the parklet plans for two of the four participating businesses have been approved by the city. Ramone’s Bakery owner Berit Meyer says workers were prepared not long ago to pour cement in front of the E Street store, but she wanted to hold off until after Christmas, what with extra traffic in Old Town and extra business for the bakery. Now, Meyer said, she's just waiting on a break in the weather. Holmlund praised the businesses that volunteered to take the risks and costs of the pilot parklet program. O’Connor declined to share the Humboldt Bay Tourism Center’s specific designs, but says it will be modeled after a shipwreck-style parklet in San Francisco. A Taste of Bim and Siren’s Song Tavern are the others participating in the four-business in the pilot program. O’Connor says the center’s excited to use the parklet during its Arts Alive and Fourth of July events. Maybe it’ll stop raining by then.